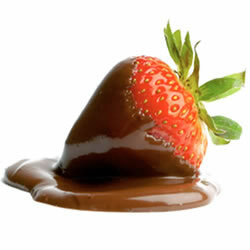 Try our VG chocolate strawberry eliquid flavour, it is a perfect blend for the perfect vaping experience. NUCIG VG chocolate strawberry e liquid contains only the purest and highest quality pharmaceutical grade ingredients and is ideal for PG sufferers. Exclusive MaxVol™ technology delivers a smoother, richer maximum volume smoke (vapor), providing a satisfying tasty chocolate strawberry flavour. Specially formulated to extend the life of your electric cigarette atomiser, clearomiser and tank. If like me you like choclates and strawberry - thisis simply brilliant. Ordered 2pm - delivered to my door 10am - amazing speedy service with great product. Lots of vapour with great taste. Have used others in the past - only now i know what I have been missing - VG variety. The bottle iself is special - quality packaging and really easy to use needle point. First rate transaction from help from the support teams to delivery next day - what mopre can you ask for. Lots of smooth vapour, nice flavour and without any throat irritation. second only to the choc raspberry version.